Full of boring statements the Boring Typography Stickers come in a monotonous pack of 40. 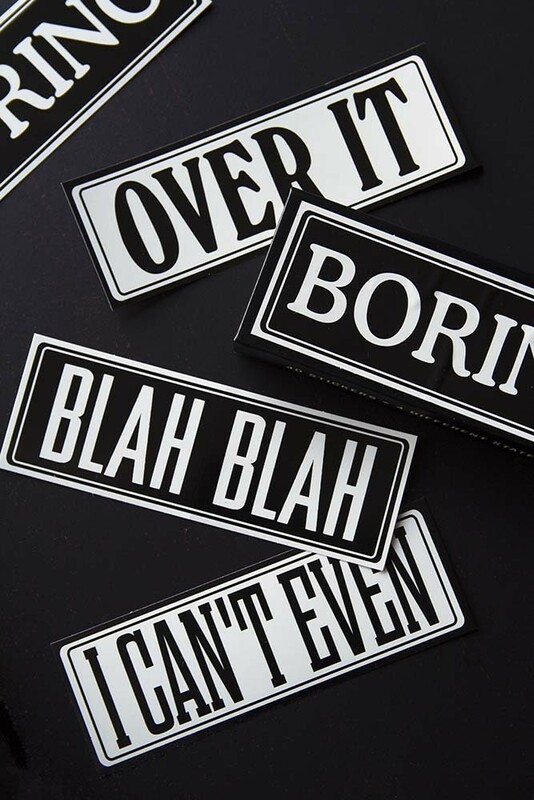 A great gift idea or stocking filler for your friends or family member that bores easily or doesn’t put up with anything boring the Boring Typography Stickers are humdrum fun stickers that they’ll love. The set of 40 Boring Stickers contains 4 boring messages – Boring, I can’t even, Blah Blah and Over it. Quirky and fun, stick the Boring Typography Stickers on mirrors, scrapbooks, vintage metal draws, pin boards, greeting cards and laptops.